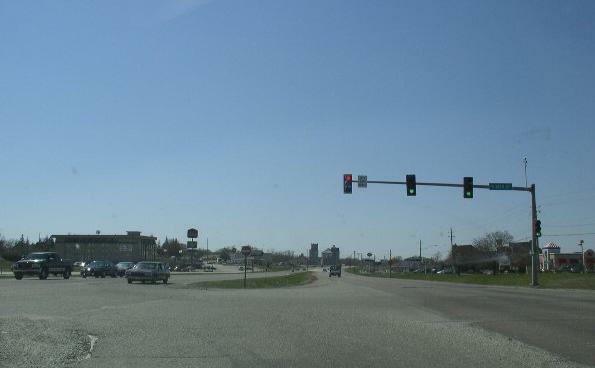 Business Loop Interstate 35 at Clear Lake, Iowa is not listed on the 2004 state highway map. This runs between M.P. 193 and M.P. 194. 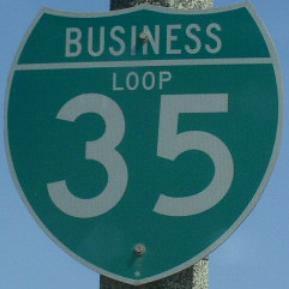 WB BUSN Loop I-35/U.S. Rt. 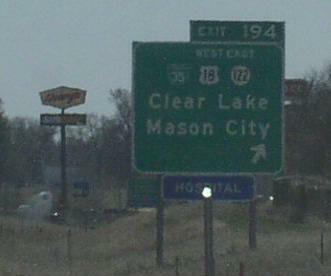 18, west of I-35.